Gone are the all-white kitchens we've been rocking for the last 5-10 years. We are finding lots of wood finishes and products are making their way back into the kitchen. We're not talking about the dark, formal cherry or the orangey oak of yesteryear, though. Instead we're seeing chunky reclaimed pieces with beautiful patinas and light, natural, woods with a beachy vibe showing up strong in everything from flooring to barstools to wall treatments. No more one-note metal color throughout the house. Now we're seeing dimension and sparkle added to rooms by mixing metals with abandon. Brass is back at number one on the list - but it’s being updated by mixing it together with nickel, stainless steel, and oil rubbed bronze. Even though we'll continue to see softer colors like lavender and millennial pink taking the lead on one end of the spectrum, Pantone has named Ultra Violet - a supercharged, vibrant shade of purple - as its Color of the Year for 2018. 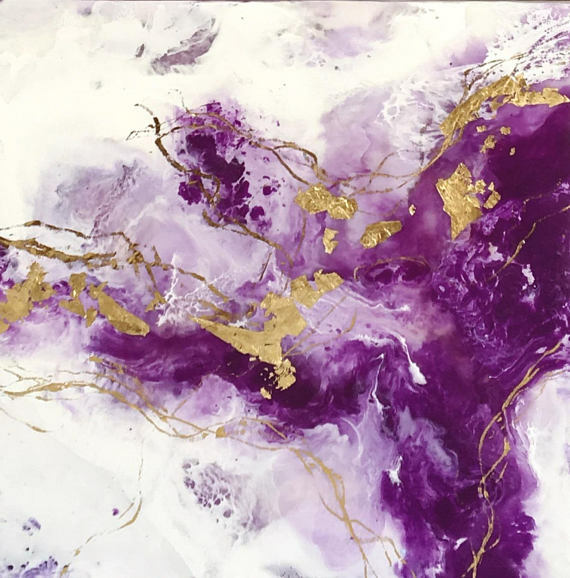 While it seems jarringly bright when compared with our recently beloved grays and pastels, this purple actually brings a meditative quality into our homes, particularly in the form of fresh flowers and art. We'll be seeing this hue as a move in the direction of jewel tones in accessories like throw pillows, accent chairs, and even as a minor note in area rugs, both new and vintage. As the 'art of imperfection' and the 'makers movement' have surged in popularity, home trends are leaning strongly toward organic materials like linen and handwoven knits, as well as imperfect shapes found in pottery, natural sculptures, furnishings, and blown glass. We are taking the European idea of freestanding storage pieces and bringing it into our kitchens. More and more full height cupboards that closely resemble armoires with a simple farmhouse esthetic are showing up in cabinet plans, as are kitchen islands with all open shelving in a material or finish that contrasts with perimeter cabinets. Even built-ins are taking on a more furniture like quality and uniqueness of design. High contrast colors - especially black and white - are center stage with leading designers this year. We're seeing loads of high-end fabrics and wallpapers, as well as designer kitchen and bath tile coming on the market, not to mention whole rooms being designed with the dramatic, glamorous contrast. In lieu of black, we're also seeing deep, dark, moody colors like jade green and blue-black taking center stage alongside white for kitchen cabinets, mudrooms, and bedrooms. Of course, we also expect to see the new favorite, Ultra Violet, coming into this mix! Yes, this is really a thing! Those beautiful, high-maintenance fig trees are a now thing of the past. Say hello to tropical plants with patterned leaves like the philodendron. With their more forgiving natures, they add life and texture to your spaces without all the fussy light and watering preferences. Remember those floral patterns we packed our wardrobes and our rooms with during the late '80s and early '90s? Well, we're loving them all over again in 2018, but recolored in current palettes (hello, gray, white, and acid green!) and with old school small flower patterns blown up to a larger scale. 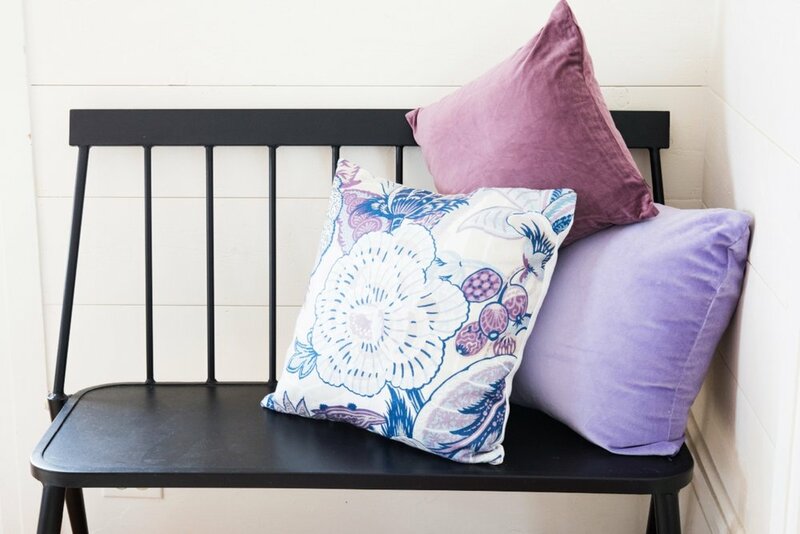 They're in demand on everything from pillows to wallpaper and are not to be missed for your home. 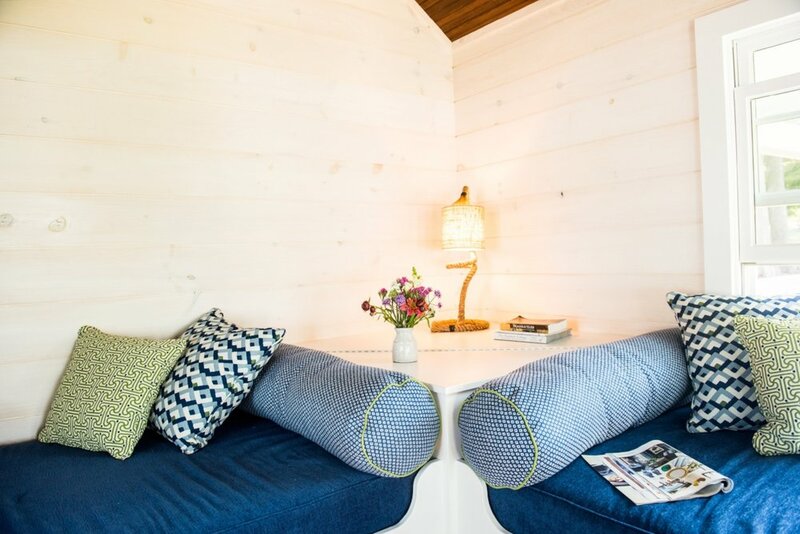 We are still seeing lots of shiplap, along with v-groove and beadboard showing up in interesting places. Even kitchen hoods are being made in more simplified designs and covered with v-groove for visual interest. In upholstery, window treatments, and home accents, velvet is adding lots of texture and dimension to soft pieces, even in spring and summer. Don’t be surprised to see this popping up everywhere in rich shades of violet, red and teal blue. What spring trends will you try in your home? If you want more of Our Take, be sure to follow @teaselwooddesign on Instagram as we launch a brand new weekly series of design trends and tips! Easy, Breezy Gifts for Mom!